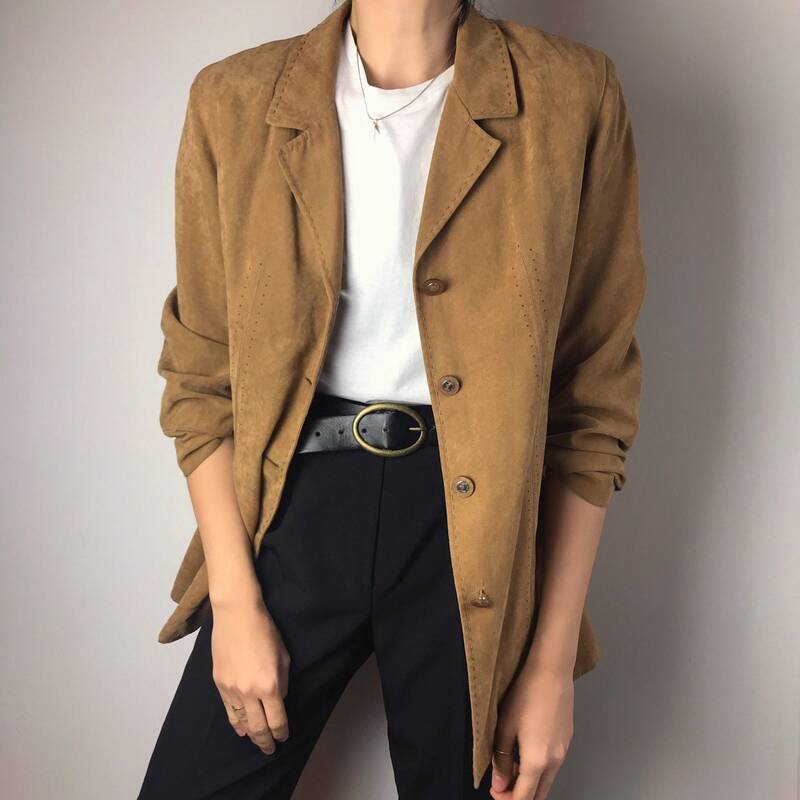 ‘90s vintage faux suede camel blazer with pockets, cute buttons and stitching details. Perfect for layering. No size label. Will fit S/L -styled oversized. Shown on a size S model on the pictures. No fabric label. 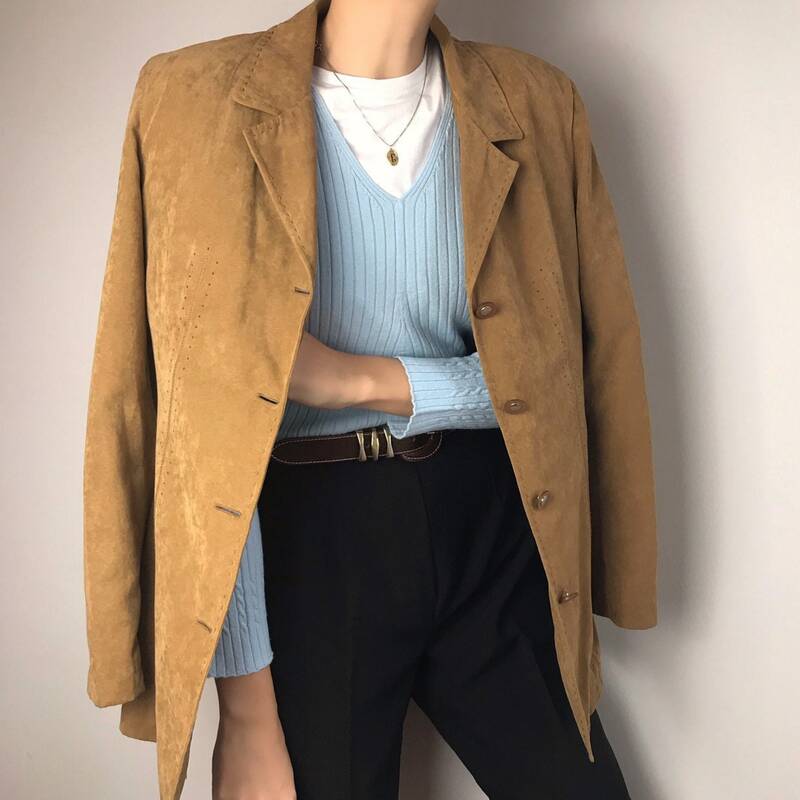 It’s a very soft and light weight faux suede.